Today is the last day of the Creative LIVE Photo Week 2017. 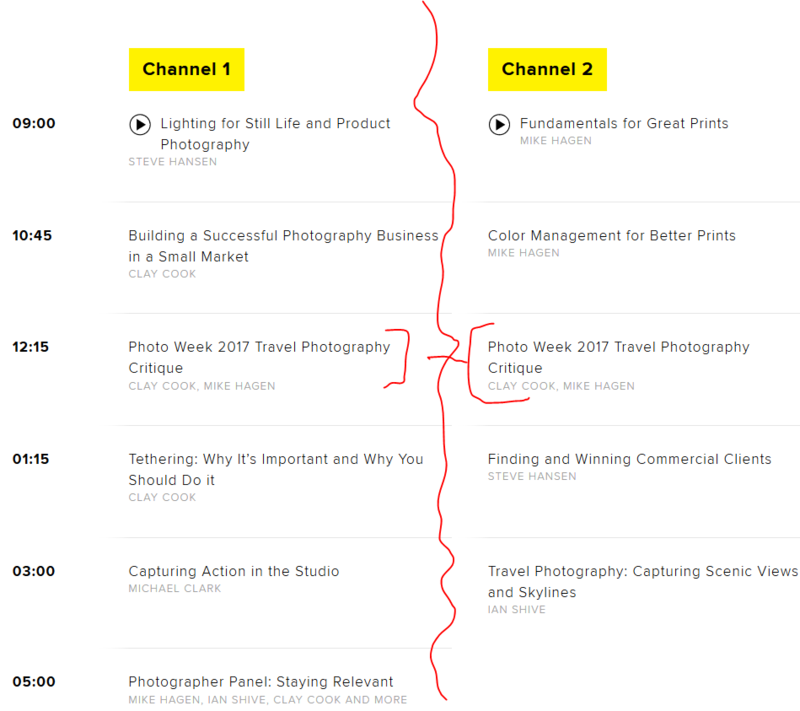 These are five days of FREE live-streaming classes, with TWO parallel channels running per day (think of it as ESPN and ESPN2). There is a variety of content planned: 40 classes, five keynotes, and five photo critiques.